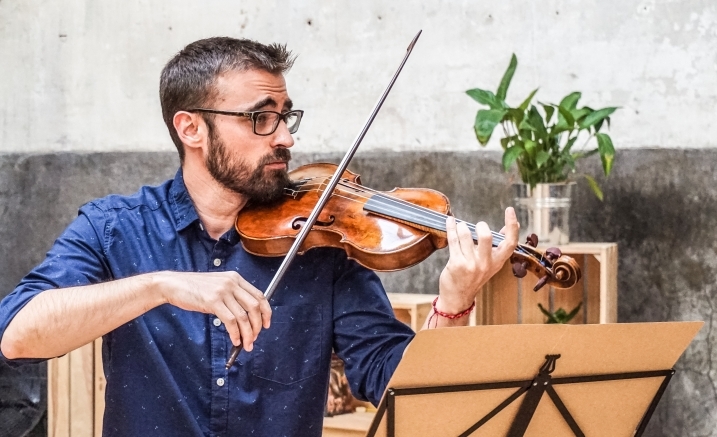 Sensational Spanish baroque violinist Daniel Pinte¬ño and musicologists Raúl Angulo and Toni Pons have, in collaboration with Paul Dyer, prepared an utterly absorbing program that will showcase the richness of music from the Iberian Peninsula during the 18th century. The 18th-century Spanish empire was defined by a sense of splendour, decadence and fearless exploration. This was Spain at the height of its political and commercial power with exotic ingredients, materials, fashion, art, and music flowing through the royal court. Spanish music at this time was developing its own bold and distinctive character which was influencing musical compositional style in broader Europe. The works curated for this concert will trace this magnificent evolution leading to the birth of a properly Spanish gallant style that became definitive of this time. Mediterránea: Music from the courts of Spain features several very rare Spanish baroque works including two Australian premieres and one world premiere as well as two much loved concertos by Vivaldi. Please note that this concert series was previously titled ‘The Burning Violin’ with Stefano Montanari. All previously issued tickets for these performances remain valid on the same date(s).